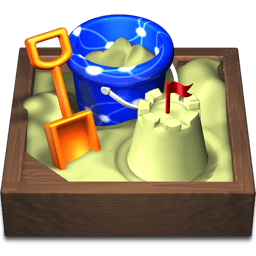 To build “HypNOWtherapy,” Martin Williams chose Sandvox. He chose the “Sunburst” design for the site. People may want to visit the site if they are looking for Hypnotherapy psychotherapy and personal wellbeing. The site exists to give people access to articles and information about hypnotherapy and associated psychotherapies. It is written for the layperson and requires no prior knowledge of the subject. It demonstrates how I approach the problems that clients present to me and I highlight the difference between medication-based treatment compared with what I offer. The more people understand, the more likely they are to seek therapy and respond to treatment. I am a clinical hypnotherapist in private practice offering a range of therapies including ACT, C.B.T., N.L.P. and a range of psycho therapeutic interventions. There is no mystery about hypnosis and this site shows that by offering extensive access to a range of articles. Over 90% of the content is written by me: when you read this site you get a clear picture of the sort of therapist I am, what areas interest me and what approach I take. It is almost like a job interview on screen that allows individuals to find a therapist with whom they can build trust and empathy. The design of the site reflects my interest in Art Deco design, the clean functional lines and soft colours put the emphasis on the content rather than the design, but at the same time create a pleasant atmosphere in which to examine the contents. I have linked to a couple of inspirational and relevant videos I have put in direct quotes in a way that makes them stand out and have arranged articles in an easily accessible format. The aim is to be professional, but also warm and welcoming, practical and appealing. This website was created by Martin Williams of North Wales. He has also built Mindfulessforlife using Sandvox.